A few months back, we told you that Apple was looking to make a splash in the TV content pond, by launching two show series this year – new ‘Carpool Karaoke’ series, hosted by no one else but James Corden; and ‘Planet of the Apps’. The first, as we know, has not been released yet and we haven’t had much detail about a possible date, but the first episode of ‘Planet of the Apps’ is now available to watch for free. You can watch the video either on the series’ dedicated website or on Apple Music and iTunes. All subsequent 9 episodes of the first season will be available to Apple Music subscribers only, which is sort of expected with this type of content, and will air every Tuesday. The format of the show is quite straightforward on the face of it – app developers come down an escalator to present their app in front of a panel of four judges, constituted of musician will.i.am, actresses Gwyneth Paltrow and Jessica Alba, and entrepreneur Gary Vaynerchuk. The judges decide whether there is any cause to pursue with each app and potential to turn it into a profitable business. The participants can then pick one of the judges, who approved their app concept, to become their business advisor and work with them to further expand the enterprise. Apple’s idea with the show is quite interesting, as it gives viewers a realistic insight into what kick-starting an app business might look like. At first sight, the concept seems a bit geeky and niche-oriented. However, Apple has done well to add that mainstream pinch that makes all tech-talk understandable for non-tech viewers. As with every new start, the flow of the show is a bit shaky and feels random at moments, but the content is still quite exciting to watch. In any case, we shall wait and spectate the progress of the series, and only then begin to speculate whether Apple has hit a bullseye with its TV show debut, or needs to go back to production school. 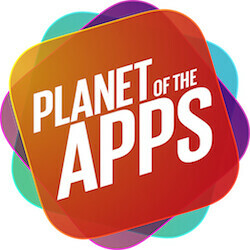 You can watch Episode 1 of ‘Planet of the Apps’ at the source link below.